The Prairiebrooke Consulting Team understands that each office, space, and building is different. We’re masters at addressing your unique needs and creating customized art solutions that are both practical and beautiful. Check out the following project spotlights, then schedule your own consultation with our team. Client needed an art plan and supplier for an expansion of several new modern Pediatric Dental offices. With a modern, clean look in their new locations, they wanted an art package that represented their brand through fun colors and imagery. Art needed to have mass appeal that was relevant to their clientele spanning a large age range of 5—21. 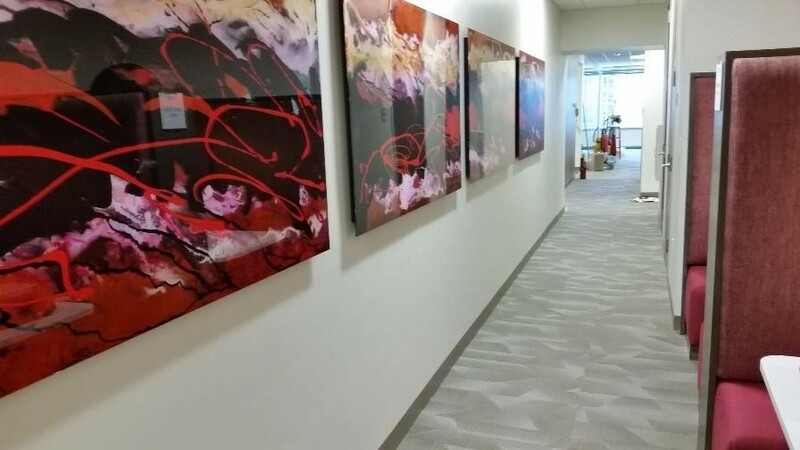 Corporate art consultant, Megan Hoban, used the client’s floorplan, colors, and furniture layout to design a catalog of artwork suggestions that would work well in the space. She provided exceptional images with suggested sizes and placement. From beginning design to final installation the project was completed on time and on budget capturing the desired look for the client. 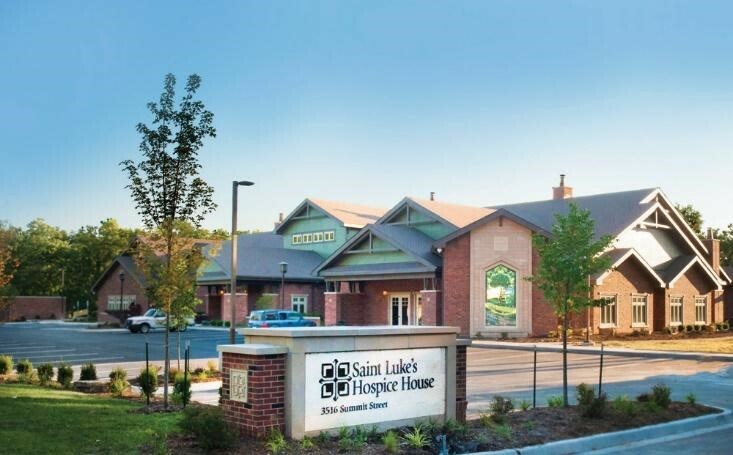 Client engaged Prairiebrooke’s, Brooke Morehead, to thoughtfully select artwork, custom framing, sculpture and wall murals for a hospice setting to provide a comforting environment for patients and their families. In the hospice setting we selected artworks for patient rooms that included familiar scenes that relieve stress once associated with the environment of a hospice center. Cold white walls in the ambulatory entrance were visually improved with garden themed murals to provide positive distraction. The addition of an entry wall sculpture reflects the familiar craftsman style and overall architecture of the facility. Large custom framed artworks of sunrises and landscapes create a hopeful and healing environment in the public spaces, and hallways. The project was designed and finished on budget, with a tight timeline for completion. PWC contacted Brooke Morehead to be the art consultant for their two floor renovation at Town Pavilion. With their new lease came all new construction and reconfiguration of their work space. The more open office concept made large (44 feet long) walls available for an original mural by New York based artist Charles Fazzino depicting the uniting of the states of Kansas and Missouri in Kansas City. The other original wall pieces were commissioned from long time Prairiebrooke artist Robert Ichter, from Atlanta. Eighteen original photographs of the region from local photographer Eric Bowers were printed on canvas and installed in the connecting hallways. Dynamic wall sculptures accented the recesses over file cabinets. Original pieces from the first PWC installation were re-purposed in gathering areas for personality and interest. The total project was executed to the delight of the management team headed by CBRE without flaw and on time, making their bosses happy. We designed, framed, and security mounted galleries of hundreds of historic figures, including portraits of all the United States Presidents. The project included over 1,500 pieces and a budget of more than $250,000.